In April, the Australian government finally published its airy and platitudinous report and review of the country’s schools. Popularly known as ‘Gonski 2.0’ after David Gonski, the businessman who chaired the review panel and who had chaired a previous review of school funding, it provided little evidence to support its proposals, despite evidence being a key requirement in the terms of reference. The report states that Australia must ditch its ‘industrial model’ of school education, the sort of cliché you would expect to hear in the most derivative education conference speech. Instead, each young person must “emerge from schooling as a creative, connected, and engaged learner with a growth mindset” (see here for a double meta-analyses of growth mindset interventions which shows that they have virtually no effect). The details of how to achieve this are vague, but the panel is clear on one key point: rigid, age-based curriculum content must be blown apart in favor of progressing students individually through a set of skills such as literacy, numeracy, critical thinking, and self-management. Despite its managerial and bureaucratic presentation, and despite the instrumental appeal to an uncertain future jobs market, the Gonski 2.0 review’s recommendations are the latest incarnation of a century or more of evidence-free approaches to teaching and learning; an enduring tradition that is central to any understanding of the forces shaping education today. Given the historic failure of this tradition—sometimes described as ‘progressive education’—we can predict with near certainty the likely effect of these recommendations: they will accelerate the decline of Australia’s schools. The Gonski panel is the chorus and we are the audience. 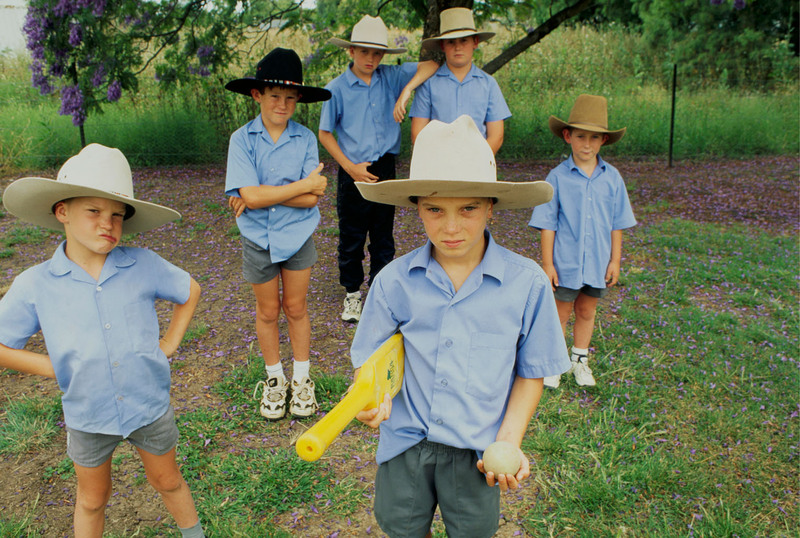 The play is the ongoing tragedy of Australian education. The historical figure with the greatest single influence on today’s education academics and bureaucrats is probably Jean-Jacques Rousseau, whether they have read his work or not. Rousseau sits at the confluence of two great cultural rivers, the point where the Enlightenment flows into the Romantic period. In his novel Emile, Rousseau describes the education of its eponymous hero. Under the guidance of a private tutor, Jean-Jacques, Emile is to be formed into a ‘natural man.’ From the Enlightenment, Rousseau draws on empiricism and argues that Emile should primarily learn through personal experimentation and experience. Anticipating the Romantic period, Rousseau seeks a form of education that preserves the innate natural goodness of children before they are corrupted by contact with the world. Rousseau is a complex figure. He gave up his own children to a home for foundlings and this makes his musings on education seem incongruous, particularly given that Emile’s tutor shares Rousseau’s name. And an analysis of the role of the tutor in the novel throws up something of a paradox. He avoids any form of expository teaching, instead following Emile’s natural interests and inclinations. Yet he constantly manipulates those interests by interfering in Emile’s environment, carefully stage-managing the ‘natural’ experiences which Emile learns from. Rousseau wants Emile’s inclinations and enthusiasms to dictate everything he learns because they are untainted by toxic civilization, and yet his tutor, an adult corrupted by society, feels he has a right to shape those ‘natural’ proclivities at every turn. Toward the end of the 19th and early 20th century, progressive educators sought a new, modern form of education. In reacting against dusty school halls characterized by recitation and harsh discipline, they invoked Rousseau’s vision of the natural goodness of children and the value of learning through personal experience rather than via a didactic authority figure. This was to be a modern, ‘scientific’ form of education that viewed each child as a unique individual. Through its enigmatic representative, the pragmatic philosopher John Dewey, who later disavowed some of the excesses of progressive education, a movement took root in the teacher education colleges of America. This movement radiated across the world, drawing on other, similar educational philosophies as it spread. Initially, private schools were the subjects of progressive experimentation before it was enacted to varying degrees in state education systems. It is important to note that the alignment of progressive education with progressive politics is loose at best, with anyone espousing a more modern and funky education system, from whatever part of the political spectrum, tending to draw upon its reservoir of ideas. In 1930s Italy, it was Mussolini’s education minister who pursued progressive education, while Antonio Gramsci, a Marxist, offered a traditionalist critique. Progressive education’s focus on the individual and the insistence that some children are simply not cut-out for academic learning plays well to sections of the political Right. In contrast, the rise of postmodernism since the 1960s and its capture of some parts of the political Left has found a parallel in the progressive argument against a knowledge-rich curriculum. Whose knowledge should be taught? Is it the knowledge of dead, white, European males? If all facts are socially constructed, why privilege one body of knowledge over another? Educational progressivism, with its focus only on content that is interesting and relevant to the individual child—and taking into account the ‘oppressed’ groups that child belongs to—seems like a natural outcrop of the postmodernist critique of traditional subject knowledge. While progressive educators of the early 20th century stressed that learning knowledge, which they always reduced to the rote learning of facts, is boring and unnatural, early 21st century postmodernists challenge the validity of traditional knowledge by viewing it as an expression of white, male, heteronormative oppression. Both currents amplify and reinforce the other, with the upshot that it is almost impossible for the Australian educational establishment to think its way out of this bind. When you treat knowledge, the very substance of education, with suspicion, what is left? What should be taught in schools, if not knowledge? The popular, if deeply flawed, answer to this dilemma is to re-brand academic subjects as ‘skills.’ Reading and writing—and, more recently, evaluating the veracity of internet sources—has become the skill of ‘literacy.’ Mathematics, with a little more justification, becomes the skill of ‘numeracy.’ Layered on top of this are supposedly general purpose skills such as ‘problem-solving’ and ‘critical thinking.’ Content is thought to be interchangeable in the development of all these skills—it’s not what you learn but how you learn that’s important. No need to cover the basics or the boring stuff. Out goes Shakespeare and in comes something more interesting and relevant. It is all the same. It is all going to develop a child’s literacy skills. Gonski 2.0 follows this model closely when it suggests the creation of ‘learning progressions.’ The idea is that a panel of experts will meet and draft a set of levels through which they think learning should progress within a particular domain. Teachers will then apply multiple criteria and assess whether each student has achieved one of these levels. There is some value in trying to map out the course of learning, especially when planning a sequence of lessons, but there is little value in decontextualized pathways of this kind. When trying to apply these criteria, and demonstrate that their students are making progress, teachers will have an incentive to rely on simpler content. For instance, a teacher will find it much easier to demonstrate that a child can “support ideas with some detail and elaboration” by asking him or her to write about a family trip to the zoo than about Australia’s system of compulsory voting. In general, such systems encourage teachers to dial down the intellectual challenge and, instead, focus on form-filling nonsense. Progressive educationalists argue that developing skills such as critical thinking and problem-solving involves students learning from personal experience, as advocated by Rousseau. According to this theory, students should conduct their own investigations and organize their own research projects in contrast to the supposedly old-fashioned approach where teachers stand at the front of the class and explain things to them. Unfortunately, there is no evidence that critical thinking and problem-solving can be taught in this way. As Daniel Willingham, a professor of psychology at the University of Virginia, explains, you need to master a subject before being able to think critically about it. Young children can think critically about subjects they know a great deal about, whereas trained scientists can fail to think critically in areas where they lack knowledge. That is, these skills are domain specific and cannot be taught as stand-alone abilities, divorced from subject knowledge. There is pretty much nothing that you can learn by solving the problem of a blocked toilet that you can apply to the problem of solving a set of simultaneous equations. Instead, you need knowledge relevant to the specific kind of problem you are trying to solve. Another difficulty with the progressive approach is that it is at odds with cognitive scientists’ understanding of how memory works. Working memory—that is, what we are focussing on at the moment—is severely limited. As early as the 1950s, the psychologist George Miller pointed to evidence that we can only hold about seven items in our working memory at any one time. We now think the number is likely to be even smaller. This is not a problem when it comes to learning to talk. Humans have been talking, or trying to talk, for hundreds of thousands of years and so evolution has had time to fashion ‘modules’ or ‘apps’ that allow us to effortlessly take in the information we need. However, reading and writing are only a few thousand years old and for much of that time they have been the preserve of a tiny elite. Evolution cannot lend a hand and so, in order to learn to read and write, or learn any other academic discipline, we have to process knowledge in our working memory before it can be transferred to our long-term memory. In contrast to working memory, there appears to be no practical limit to what we can store in our long-term memory. However, it would be a mistake to think of the long-term memory as a bottomless filing cabinet. It is more like a set of webs connecting related ideas. Knowledge can fade if we fail to make use of it, or it may still be there in the long-term memory but hard to retrieve. This suggests the value of regularly recalling knowledge that we want to be available for us to use, something that has been confirmed by research. Long-term memory can help overcome the limitations of working memory. To give a simple example, if you just know that seven times eight is 56, you don’t have to use working memory resources to figure it out and you can concentrate on some other aspect of a math problem. Perhaps more subtly, a fully established concept such as ‘democracy’ can consist of scores of connected ideas and take years to develop. Yet once you have this concept available in your long-term memory you can effortlessly bring it to bear on problems without running up against the usual constraints. This understanding of the mind suggests that novices need to learn new concepts in small, discrete steps. They need to be guided to pay attention to just a few features at a time. The role of a teacher is, therefore, to fully present and explain new concepts in bite-size chunks, at least in the earlier stages of learning, and to give students plenty of practice at recalling these concepts via frequent testing. Once learning progresses, ideas can start to be integrated into more complex wholes. However, if you take Rousseau’s advice and present novices with complex or real-world problems to solve, or areas to investigate, their working memories will become overloaded. Even if they manage to solve a particular problem, they are likely to learn little from the process because they will have no cognitive resources left over for learning. This conclusion is supported by research into effective teaching. As early as the 1950s and 1960s, academics began conducting process-product research. They would sit in the classrooms of different teachers and observe and document what those teachers did—the ‘process.’ They would then look at test score gains for those teachers—the ‘product.’ The evidence was clear: effective teachers presented concepts and procedures in small chunks, fully explaining them, and they asked lots of questions of students, from informal verbal questions to frequent reviews and testing. When we reflect on the role of long-term memory, it is clear that the content of the curriculum is extremely important. For example, if you want students to think analytically about an aspect of democracy then you need to build up their knowledge of the concept in long-term memory. The same is true if you want them to read and understand all but the most basic texts about democracy. There is no shortcut to doing this without the right knowledge. That is because knowledge is what you think with. It is, therefore, a duty of schools and education policymakers to ensure that the curriculum contains content that is rich and powerful; knowledge that allows access to the kinds of thinking that well-educated adults are able to perform. There are clearly vigorous, democratic debates to be had about which knowledge we should teach, but we should have these debates rather than avoid them by pretending knowledge isn’t important. The tragedy of Gonski 2.0 is that it does nothing to advance this debate but instead proposes that Australian schools should embrace ideas that were current in England about 10 years ago. Where Gonski 2.0 emphasizes the development of general capabilities, the English national curriculum used to promote Personal Learning and Thinking Skills. Where Gonski 2.0 suggests an intricate set of learning progressions, England had a similar system that also embraced ‘levels.’ This approach was abandoned, partly because it saddled teachers with far too much busy work as they collected all the data required to show that children were making good progress, as well as mounting evidence that it was ineffective. In recent years, England is one of the few countries that has sought to bolster the knowledge taught in its national curriculum and turned away from the progressive education orthodoxy. The early signs are that this new approach has reversed years of decline, particularly among 4-11-year-olds. How has England managed to break these shackles while Australia draws them tighter? One answer is the role of Michael Gove as Secretary of State for Education from 2010–14. An outspoken Conservative, Gove was, and remains, a hate figure for many in the education sector. But whatever you think of him, Gove is one of the few politicians to master the education brief. He understood the argument about the vital role of knowledge in a way that no Australian politician has. It also helps that another of England’s education ministers, Nick Gibb (still in post) is an evangelist for the knowledge-based approach. In parallel with Gove’s rise as Education Secretary, and continuing after his fall, there has been a burgeoning professionalism among teachers in England. Social media has enabled them to bypass the traditional gatekeepers of education research and talk to each other via blogs and through online forums such as Twitter. When I first started teaching, I thought it was an established scientific fact that children learn better by finding things out for themselves. It was only when I began to read the research for myself that I realised this was untrue. The internet has provided the means for this information to reach teachers more readily. If you are in London on September 8, you might happen on a group of teachers on their way to an event. This event will not have been organized by their schools or by anyone in the education establishment. Instead, the “researchED National Conference” has been organized by Tom Bennett, a teacher who gave up his job after the overwhelming success of the first few researchED events. Promoted through social media, researchED gives a platform to teachers and academics to discuss the use of educational research in the classroom. Along with other similar events, it is evidence of a welcome trend—a profession that is taking control of its own destiny. The researchED National Conference comprises an international community of research informed educators. Although researchED is now an international phenomenon, having visited Australia three times, there is not yet an Australian equivalent. This may be geographical—if you organize a one-day event in Birmingham then a large swathe of English teachers will be able to attend, but an event in Sydney isn’t as easy to get to for teachers from Adelaide. Nevertheless, there are encouraging signs. Gonski 2.0 has been given a deservedly rough ride in the press, with some teachers expressing their disappointment. There are signs that educators are at last beginning to realize there are counter-arguments to the established dogmas. This is long overdue, given that John Sweller, a world expert in how working memory and long-term memory affect learning, has been hiding in plain sight at the University of New South Wales all this time. Ultimately, it is pointless waiting for education academics or businesspeople co-opted by the government to suggest practical ways forward for Australian education. The former are largely uninterested, preferring to defend their own discredited theories, whereas there is no reason to think the latter will be able to clear away the unhelpful ideological baggage, as Gonski 2.0 has demonstrated. Instead, it is time for Australian teachers to take control of the agenda. It is time for Australian teachers to talk directly to each other and to researchers. It is time for Australian teachers to organise themselves into a profession that owns its own knowledge. A lack of knowledge is the problem. It is the lack of scientifically-informed, evidence-based expertise that enables the education tragedy to unfold in one country after another, in one time period after another. Developing the knowledge of teachers—and trusting to their expertise—is our best hope of breaking out of this vicious circle. Greg Ashman is a Ph.D. student at the University of New South Wales. The views expressed in this article are his own and do not represent any institution. Follow him on Twitter @greg_ashman. Greg, you’re a great voice for, dare I say it, common sense. I’ve been a fan of your work for a while and I’m glad to see you in these pages. Good article. I don’t know much about education, and it’s nice to read something about Australia. It seems unfair to say that growth mindset has ‘virtually no effect’. It’s also unfair to talk about it being evidence-free, when that paper is a good example of researchers taking their field’s failures to heart. There is an aspect that is too rarely mentioned in the school pedagogy debate. Exploration learning works indeed quite well, for highly intelligent upper middle class children. While it’s much slower than traditional teacher, it allows you to really develop a deep understanding of what you are learning. That’s how autodidacts and researchers learn. – Even smart autodidacts don’t learn fully by exploration. They also read classical books and existing knowledge. Exploration and self-directed practice is only a part of the learning. Also, to know what exists, autodidacts need an enormous amount of general knowledge. – You need the right personality and intelligence to be able to handle the uncertainty and the complexity of poorly defined knowledge and goals. – You need to be truly deeply motivated to learn. This is extremely hard to forge through school. It either work if you are passionate about something, if there is a goal you want to achieve or if you are driven by knowledge seeking for purely intellectual pleasure. – It requires brilliant teachers to guide learning and adapt to the students. This is the main issue and the main taboo. As education expanded, the average cognitive level of teachers declined. There are today more college professors than high school teachers in 1930. – In primary education, teachers need to be generalists, which requires high intelligence and immense knowledge. But in the selection hierarchy, primary school teachers are the least qualified of all teachers. I once asked such a teacher about the math she was teaching. About the method to do the addition and multiplication of big numbers by hand. While she knew how to apply the algorithm that is taught at school, she had absolutely not the slightest intuition of why it works. If 7-8 years old math is considered as magical wizard tricks applied blindly for the teachers who are supposed to teach it, how can we expect them to guide students to help them explore and discover how to to add and multiply big numbers by themselves ? Here is a Youtube video of a teacher promoting her physics and art experiment to learn about hurricanes: https://www.youtube.com/watch?v=PRlpLenOcTg She clearly has no clue what a hurricane is, making a vortex to show dye dissolving we not make children discover anything about meteorology. There are plenty of methods to explain young children how weather works, but it requires a deep understanding of college level physics to be able to explain it with analogies that a young child can understand. Overall, that pedagogy is indeed wonderful, if you have elite teachers and elite students from privileged families. With low performing students of poor socioeconomic families, that kind of pedagogy is nothing more than a way of hiding cognitive differences by replacing abstract knowledge by games. Edutainment directed toward low performing students is absolutely endemic in innovative pedagogy circles. As it happens, I recently attended a lecture by a proponent of the discovery method for teaching mathematics. We were told that children would be presented with an addition problem, say 35 + 68, and asked to come up with their own solutions, after which the students would share their methods and (presumably!) agree on the most efficient one. My first thought was that it must’ve sounded like pure genius around a table of smart people. Sure, it’ll work in class full of the brightest upper-middle class students, maybe the top 15% of the top 15% of schools. But the rest will stare at the board wondering what the hell they’re being asked to do. The teacher will waste time and effort cajoling them to do what she ends up doing anyway. So I’m not in the least bit surprised by this result. Such theories come from too much attention being paid to the ideal classroom and too little to the real one. This reminds me a Primary School math profesor that used to be in a radio program. People would call to say that they would love to have him as a teacher, because they thought they hated maths, but he redscovered the world of mathematics to them. Well, he is a doctorate in maths and professor in an elite school. I’m sure that we wouldnt have this kind of debate if all profesors had such knowleage about what they teach and the capacity to explain clearly and playfully. I don’t know that much about Australian educational history and perhaps this is true in Australia and if so you should have limited it to that country. It is NOT true in the United States. The kind of progressiveness you are speaking of here did not come into widespread use until the 1970s. The late 19th century and early 20th century in the US was focused on the implementation of mandatory education and it was fairly rigid. It’s primary focus was the assimilation of the massive numbers of immigrants coming into the US at that time by giving them two things: a common language and an immersion into the concept and identity of the United States. One of its primary functions was to act as an antidote to tribalism. And as an aside, phrase “a little knowledge is a dangerous thing” meant something quite different than its common usage today. It was said by someone who was deeply uncomfortable with schooling the masses, many of whom could not read or write. He meant by it that giving the masses an expanded awareness of the world and social structure around them could easily lead to social unrest, which it did in fact do. the system you articulate in your article does in fact work pretty well for ages 6-12. It begins to fail rapidly as adolescence sets in as people begin to differentiate in their interests. No. Anyone that has read up on pedagogy or philosophy of education is familiar with what John Dewey got up to in America from the late 1800s onward. Dewey’s main approach was making young students into democratic and liberal radicals. There was only a short period where Dewey’s influence waned in the American education system, roughly from WW2 to the 60s. While not genealogically connected (apart from Habermas), American pragmatism is very similar to the critical theory and continental philosophy that arose from the 1960s onward w.r.t. social democracy and social leveling as a bulwark against capital, blank slatist hermeneutics, and schools as an ideological battleground. E.D.Hirsch Jr. has been writing on this topic for over thirty years: “The Schools We Need: And Why We Don’t Have Them” “Why Knowledge Matters: Rescuing Our Children from Failed Educational Theories” Gove cites Hirsch as the inspiration for his reforms. In the US the legacy of Dewey and the progressive education dogma are still firmly entrenched in schools of education. With a nine year old in public school I can verify that knowledge instruction is an afterthought at best. IMHO all good teaching/learning of knowledge/skills boils down to two basic points. The details of what these actually involve vary enormously, of course, and sometimes you might want to start with some “big picture” scene-setting. Perhaps Mr Ashman was a bit unclear, or perhaps you read something that he didn’t write. He wrote about “progressive educators” who “sought a new, modern form of education,” which I inferred to be the minority because they were the vanguard, and you wrote this was “NOT true in the United States” adding it was “not widespread until the 1970s.” Ironically, what you wrote aligns with what Ashman wrote, but somehow this wasn’t grasped. In your defence, I too find assertions about “America” and its domestic institutions often are far too wide a brush to use. Having lived there for a few years, I came to understand how decentralised it is vis-a-vis other centralised countries. When I read claims about “American police”, “American courts”, “American education”, etc., I know the person either doesn’t understand what s/he is talking about or is deliberately mischaracterising the situation, wishing to extrapolate an event, often a misdeed, in one locale as being representative for the entire country. The US Department of Education is less than 40 years old; still public education is a local concern and mostly under local control (about 90,000 locally elected representatives serving on nearly 15,000 school boards), though having to comply with certain state curriculum standards and federal mandates, often hyper politicised, such as “No Child Left Behind”. FWIW, Lawrence Cremin’s The Transformation of the School: Progressivism in American Education, 1876-1957 was published in 1961, about a decade before you say progressivism became widespread. Perhaps you are talking about social progressivism? John Dewey as administrator: the inglorious end of the Laboratory School in Chicago (PDF). [A]lthough the school existed for a mere eight years, it is still regarded as one of the most distinguished pioneer schools of the progressive education movement and can—according to many educators (Bickman, 2003; Cuffaro, 1995; Fishman & McCarthy, 1998; Simpson & Jackson, 1997; Stuckart & Glanz, 2010; Tanner, 1997)—teach us valuable ‘lessons for today’. Why is Dewey still held is such high regard? Educators love their heroes, especially when they promise freedom, democracy and progress (cf. Labaree, 2005, p. 286f.). At the most, they shy away from cutting legends down to size and taking great individuals as human beings who exhibit not only strengths and virtues but faults and weaknesses as well. Dewey was a contemporary of Francis Parker, himself a highly regarded progressive educator who established Chicago’s private Francis Parker School (tuition about $40k per annum presently). If you ever take a look at a progressive school’s notable alumni you find it filled with those in the arts but very few scientists, inventors, entrepreneurs, industrialists or anything else in job and community wealth creation. I reckon those celebrities in the limelight also influence the positive perception of a progressive (and exclusive) education and the educators who make it so. Both Dewey and Parker were greatly influenced by Herbert Spencer, author of Education: Intellectual, Moral, and Physical in 1861. To be fair to Parker and those who established normal schools (what teachers’ colleges were once called), primary education was once taught by teenagers and young adults (16:1 women to men) who completed six to ten years of schooling put into school houses to instruct children. In the age of rampant patronage and corruption, jobs were sold and given to party loyalists, certainly ‘progress’ was required. Dewey’s laboratory school appealed to the well-to-do, many of whom were academics themselves and included the president of the University of Chicago who enrolled his son, yet soon many found their children’s “learning by doing” utterly unfit to purpose, requiring their mums to teach the kids the basics of reading, writing, and arithmetic at night at home. It promised a lot and delivered very little. Dewey lacked not only the talent and temperament but also the devotion and interest in continuous practice work. As a philosopher and theorist, he had much to say about school, curriculum, instruction and learning; yet for taking care of the realization of his educational ideas and projects in the long run, he did not have the patience, nor the prudence, understanding and compassion, i.e. the virtues and traits that are necessary for such a task. Knoll concludes: We should accept that Dewey’s educational ideal did not meet the harsh realities of teaching and learning, and we should agree that his educational project cannot provide the blueprint for a significant school and curriculum reform as often assumed. Like many aspects of the progressive education movement, the critical reevaluation of Dewey’s world-famous school experiment, including Mayhew and Edwards’ widely acclaimed report of it, is a task to be tackled, otherwise we cherish an ideology and delight in theories and practices that did not pass the test. Turning teaching into a profession is one of the best ideas I’ve heard in a long time. Who decides what knowledge is taught? “There are clearly vigorous, democratic debates to be had about which knowledge we should teach…” It is democracy that has hollowed out rigorous education, so I would not trust it to provide a pathway to appropriate curricula. To say that a democratic process should determine what knowledge is taught presupposes that all knowledge is equal. This will perpetuate the writer’s concern that “[knowledge] is all the same. It is all going to develop a child’s literacy [and other] skills.” It is not so easy to come to an objective conclusion that Shakespeare is genius and that every child should be given the opportunity to become haunted by Lady Macbeth. This opens the door to democratic debate over whether Shakespeare should be taught in favour of, say, Stephen Sondheim. Who decides what knowledge is taught is both the solution and the problem. And if they have bad taste, bad luck (and pray your child doesn’t want to become a music theatre actress). Excellent question! This is the value of the classics. We know that they are “good” because they have stood the test of time. They are not passing fads, like a few of the books I had to read in my schooling. Greg’s argument is that England has early signs of positive student data indicating a recent push toward ‘knowledge’ as foundational to pedagogy, and a ‘burgeoning professionalism’ among teachers is correlated with this trend. Meanwhile he laments the recent Gonski review into education within Australia as not reflecting this evidence and calling on Australian teachers to embrace the English model of research-driven teaching. The increasing professionalisation of teaching across the world is certainly a positive step forward. We should want the highest quality teachers in front of our children as Hattie’s research (https://goo.gl/uyjoxW) indicates teachers are the single largest effect on student outcomes within a classroom. Finland requires Masters degrees as standard and are consistently among the top PISA nations. But given the issues of teacher retention and attraction to the profession (https://goo.gl/Bcbqd3) within England I find the argument of a ‘burgeoning professionalism’ among teachers to be somewhat misleading. It appears that while Greg’s ‘back to basics’ argument has some merit as evidence by both Hattie and by England’s results, it seems misguided to endorse a system of restrictive, unsustainable, pseudo-professionalism. How can “Australian teachers to take control of the agenda” when it seems the teachers in England are disempowered (https://goo.gl/L5Sihd) to do the same, with almost half of primary and almost one-quarter of secondary teachers not feeling they were being trusted to do their job? Gove’s impact was driven from the top down, not the bottom up as Greg contends. And early correlation between his policies and student outcomes fails to supplant Hattie’s findings that those who matter are the ones in the classroom doing the work. We can support them to use research and data to drive pedagogy without risking the relationships and morale an authoritarian model introduces. Excellent article. It is unfortunate that the field of education is essentially a humanity and very resistant to the scientific study of children’s learning. It’s one thing for a ‘postmodern’ or ‘romantic’ or ‘progressive’ belief system (or any other historical variant) to pervade literary criticism, and yet another when it does so for education. In the latter situation, the education and long-term wellbeing of millions of children are potentially compromised. As one other comment noted, the approach probably works reasonably (depending on content) well for intelligent and motivated students, but does not work well for more typical students and especially for struggling students. I wrote a critique of the general approach a while back, from an evolutionary perspective. The link is to the final report. There’s a long, 1,000 page or so review of the extant (at the time) literature that is also available. The Panel resulted from an executive order from President Bush but then was archived (buried) about 9 months after it was published by President Obama’s education appointees. They were heavily invested in the ‘romantic’ or ‘progressive’ view of education. I did learn an important lesson from serving on the Math Panel, though: Never serve on a government committee that is going to write a report! Educare: Latin – to draw out. Perhaps we should focus on harnessing the power of our ignorance: the only natural, human resource that is truly boundless. Best to approach this problem by conceeding certain learning structures benefit 85% and tend to raise the standards so often cited. But what of the tail ends? Those that might change the world? Some sort of balance must be struck.